When you take out a yearly hosting account with us your first domain is free. 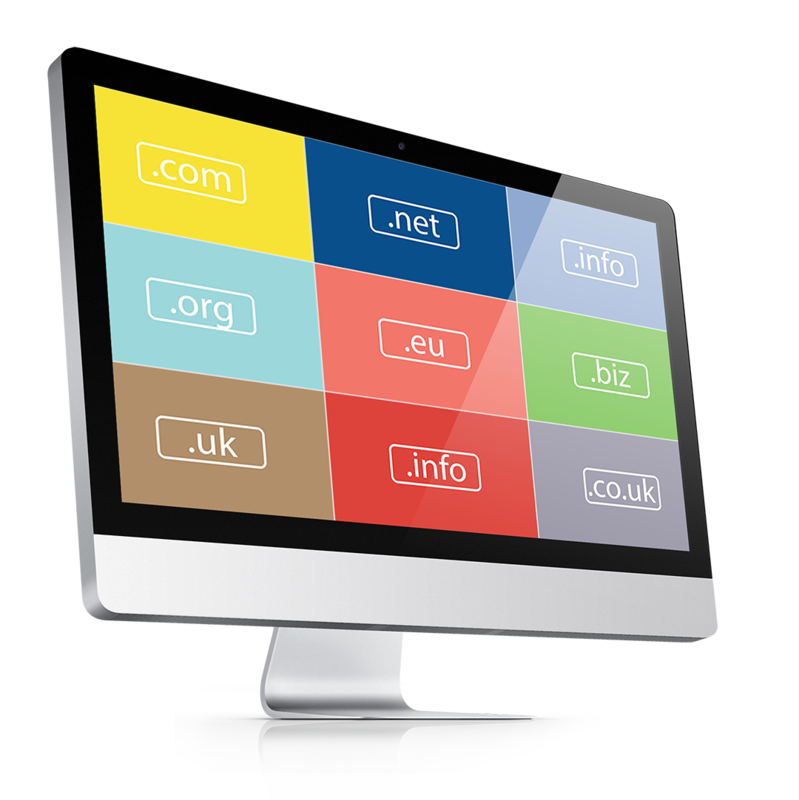 If you require any extra domains after that prices start at £19.99 per year. Feel free to use our domain checker to see if your domain is available. When choosing the right domain name you should always keep it and your website’s name as close to each other as possible. You do not want to confuse visitors because your domain name seems to be totally different from your website name, especially if you are running an e-commerce website. Choose a name that is not too long and is not too confusing so that visitors have a hard time remembering it. In most situations, the shorter your domain name is, the better off you will be. This is because people will remember the URL and they will continue to visit your site in the future. Also always try to avoid using acronyms, dashes or other symbols as they may also confuse potential visitors for the first time. Try using keywords that describe your business and the services you offer. For example; if you’re a tyre fitting business, you may want to register ObanTyreFitters.com or TyreReplacementOban.com. Include the keywords that people enter when searching for your products or services. It helps improve your rank on search engines (which increases traffic) and just makes more sense to your visitors/customers. The “.com” is the most popular top-level domain and it can be hard to find one that is available. In most cases, you should favor a “.com” however if you are planning to sell in a specific country only you should consider a country specific domain such as “co.uk” for the United Kingdom. If your business is local, consider including your town or city in your domain name to make it easy for local customers to find and remember. Example: obanwebdesign.com. Make sure when choosing your domain that it isn’t trademarked, copyrighted or being used by another company. You could end up in court facing huge legal fees and also loose your domain.